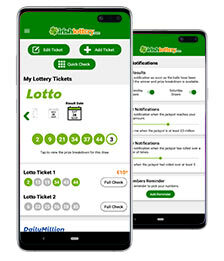 For your iPhone, iPad, or iPad Mini - the Irish Lottery iPhone App, delivering the most up to date results as well as and Irish Lotto ticket checker, number generator & more! This free app with its full range of features and ease of use is one of the most popular lottery apps on the Web. 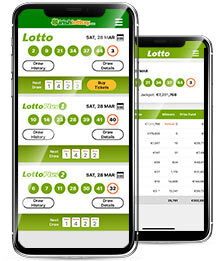 Click on the following link to read about all of the features included in the Irish Lottery iPhone app. Prefer your Android device? Then download the free Irish Lottery Android App, which will keep you in touch with the latest Irish Lottery results. You can also have fun with the additional features such as the ticket checker, number generator, results archive and more! Read about all of the features included in the Irish Lottery Android App, as well as installation guidance.